Download full-size JPEG (290K) or GIF (155K) image. Born in Salem, Massachusetts, Nathaniel Bowditch grew up in the seafaring culture of late 18th-century New England. 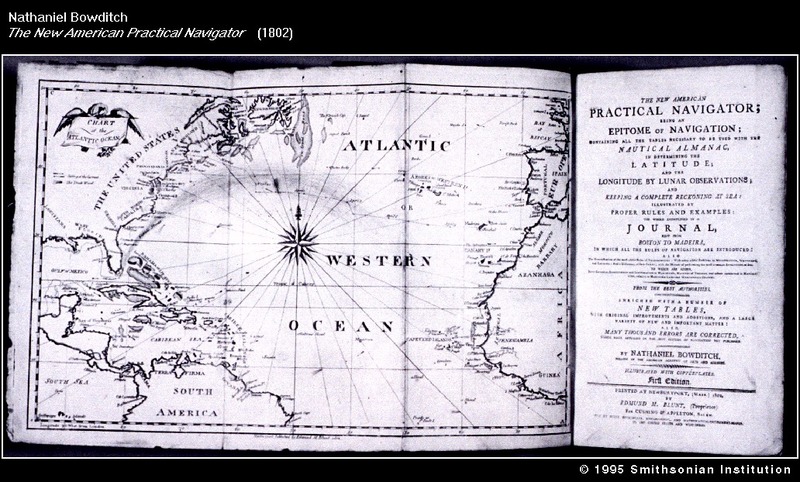 His love of mathematics, astronomy, and sailing are combined in this manual on navigation, which was printed in more than 70 editions between 1802 and 1876, a powerful testimonial to the importance of the book in guiding generations of American ocean-going navigators. Download full-size JPEG (271K) or GIF (184K) image. Land-locked in Atlanta and longing for the open sea, Pattie Belle Hastings was intrigued by Bowditch's directions for sailing a large vessel. His instructions for charting a ship's course using fixed points of reference serve the artist as a metaphor for navigating through life. Hastings unites her own practical experiences with seafaring terms from Bowditch's work. Download full-size JPEG (318K) or GIF (204K) image. 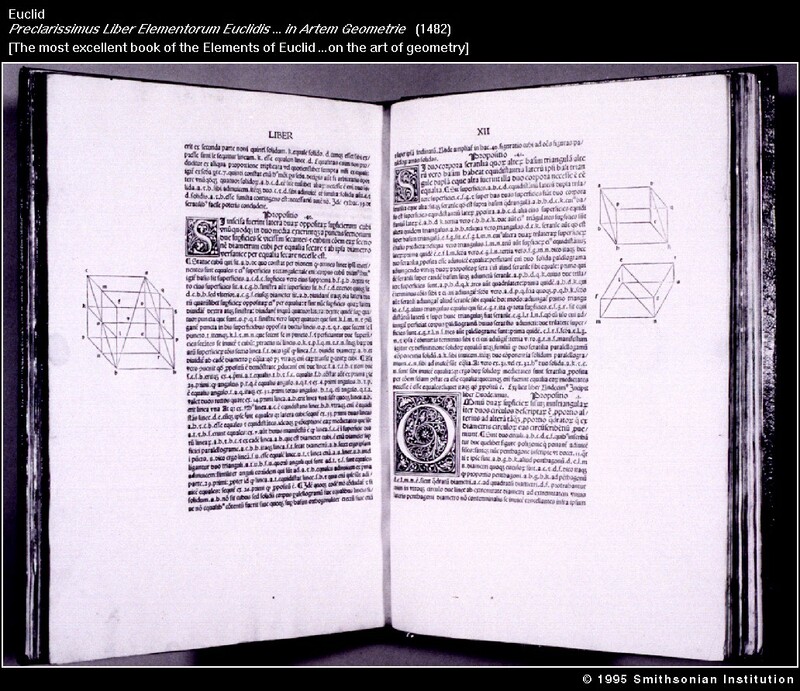 Euclid's Elements has been called the most influential textbook of all time. Written around 300 B.C., it provided an overview of elementary mathematics (arithmetic, geometry, and algebra) and laid the foundation for further mathematical studies conducted up until the modern period. This first printed edition possesses a timeless quality that shines forth in the clean lines and beautiful shapes of its geometric diagrams. Download full-size JPEG (228K) or GIF (154K) image. 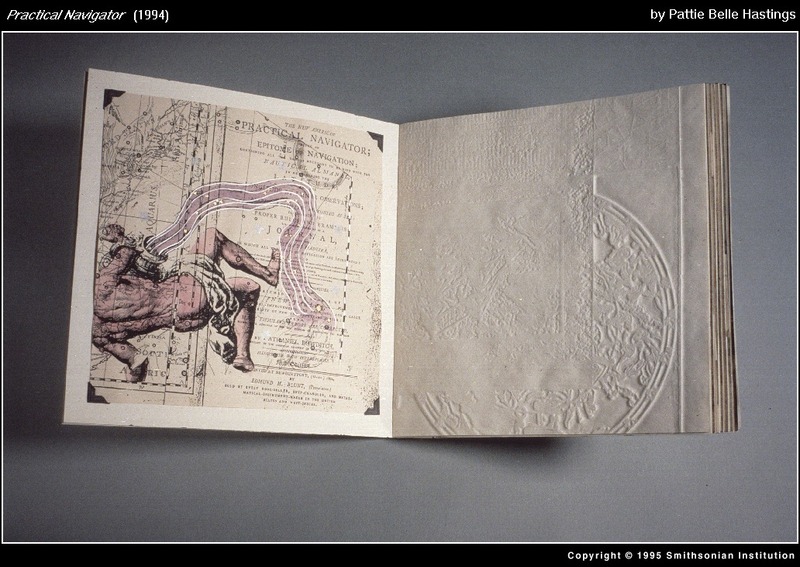 "When I saw Elements, Euclid's studies on geometry, the book was so thoroughly modern in design and conception that I was hesitant to change any element of the book," writes Sjoerd Hofstra. 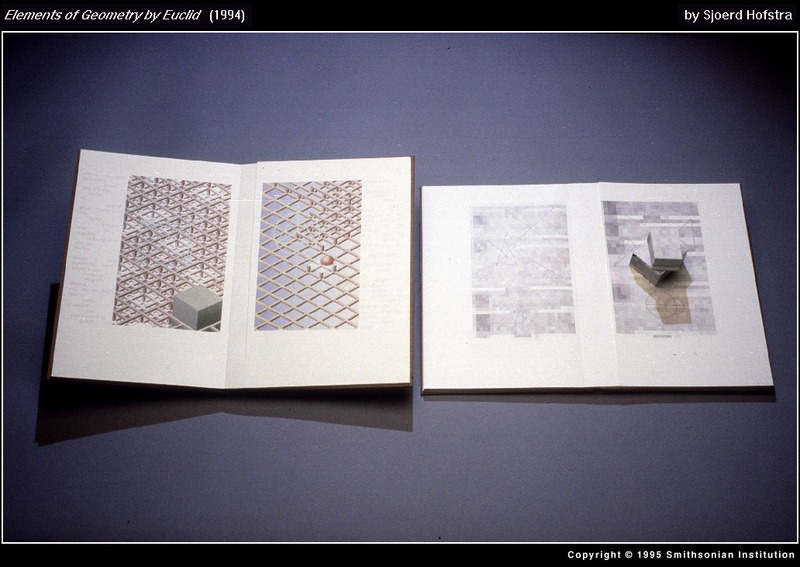 Instead, he transformed Euclid's original two-dimensional drawings of geometric shapes into three-dimensional models that spring from the flat pages as pop-ups.